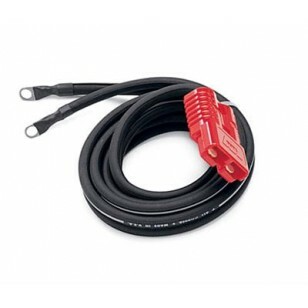 Power leads with Quick Connect plugs provide a safe and simple power source for portable winches. Plugs allow convenient connection and disconnection to the battery power source. Power connections can be added to the front, rear or both ends of the ATV. © 2018 Avid Off-Road. All Rights Reserved.